Berlin cycling - it just shouldn't work! I was stunned at the high numbers of cyclists in Berlin. It’s certainly a different from the one I'm used to in New Zealand and Ireland. 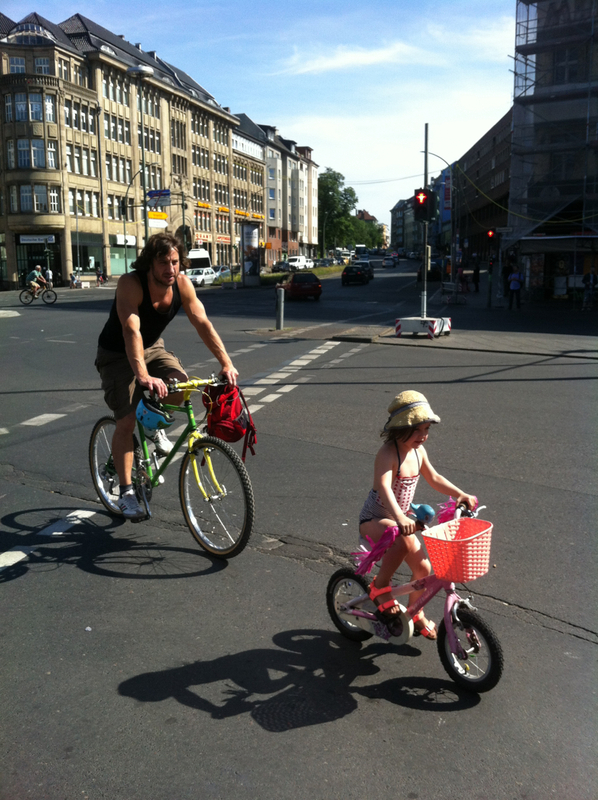 Here’s a typical Berlin scene- Dad and his wee daughter, negotiating a huge and very busy intersection in Neukolln. He does have an air of concentration about him, and a kids’ helmet dangling from his hand, but he seems to be happy to have her cycling independently- and she’s less than five I reckon. 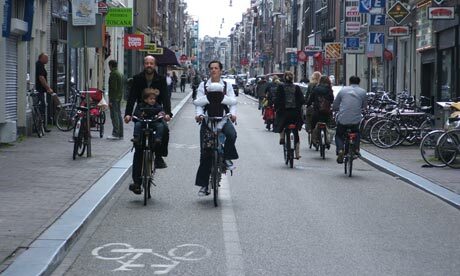 Read more about Berlin cycling - it just shouldn't work! Cycling advocates say the Island Bay design is safe. An article highlighting the economic nonsense of the Govt's current motorway-focused transport programme. A cycling expert is calling on the Government to provide dedicated cycleways with curbing channels to protect cyclists from traffic. Professor Simon Kingham from Canterbury University said there was a perception cycling was unsafe compared with other forms of transport, but the overall risk was actually lower when the health benefits of exercise were taken into account. "The main barrier to people cycling is that they don't feel safe - it's absolutely clear and we've done some research in Christchurch on that about three years ago." 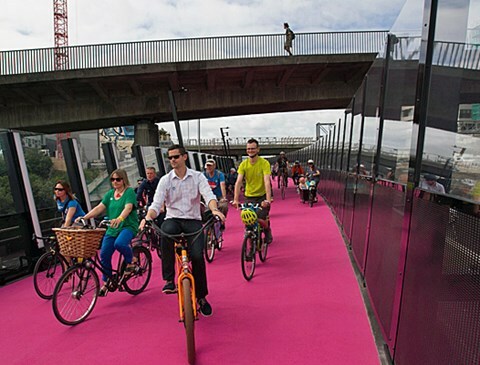 New research: what kinds of infrastructure do new cyclists want? This research, which was conducted from July 2008 to January 2010, investigated what type of cycling infrastructure would encourage 'new cyclists' (i.e. people who either do not currently cycle at all, or people who do not currently cycle for utilitarian trips) to use cycling as their mode of transport for daily activities in New Zealand. 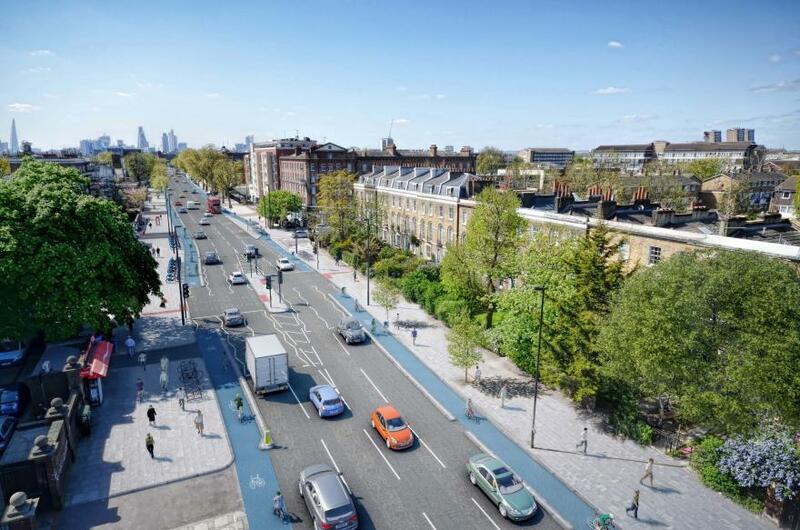 Read more about New research: what kinds of infrastructure do new cyclists want? pollution, and greenhouse gases associated with travel. However, bicyclists incur a higher risk of injuries requiring hospitalization than motor vehicle occupants. Therefore, understanding ways of making bicycling safer and increasing rates of bicycling are important to improving population health. There is a growing body of research examining transportation infrastructure and the risk of injury to bicyclists.